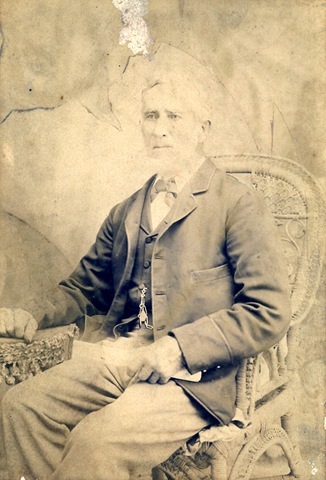 The Sanders came to Australia from DEVON in England. I had some information about this but now thanks to Jan and Barry Maurice I have a good deal more as well as some padding. A visit to the Macleay District Museum is on the Books . I went there once but was looking at the memorial for my Fathers Uncle Bert who was killed in WWI. I was surprised then when the Assistant recognised the family look and told me a little about BlackBerry Sanders . I now know a good deal more about that too. 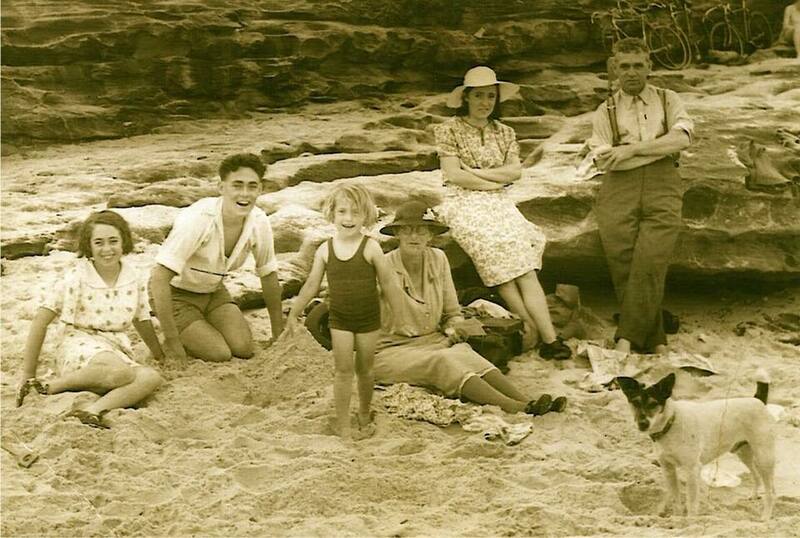 I am doing research for Izzy on Melinda McNally Kendall and despite the Literary nature of the family and the established Kendall identity in the Illawarra have had very little feedback – but when it come to SANDERS – there seem to be a lot of us with the same passion for detail and inquiring minds. My Father Bruce who was the son of John George who was the son of Frederick John who was the son of BlackBerry Bill – kept a diary throughout his entire time of service in WWII and thereafter chronicled his daily life with detailed accuracy . I have the letters he wrote home almost weekly during the war – http://www.blognow.com.au/BRUCESANDERS/ – still a little messy but I will get to them and now thanks to equally pedantic cousins – I have Images and anecdotes in abundance. Well- being a Sanders Myself – I could always do with MORE details. I am adding what I can here in the confidence that those who have given me these things wish as I do for the Sanders not to be lost in a box, or disposed of inadvertently. 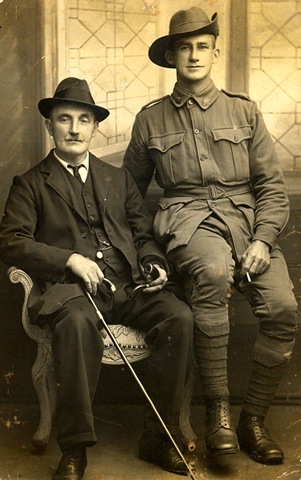 The lad on the left is the handsome Uncle Bert of my childhood legends – Herbert Burdett Sanders , who died overseas. 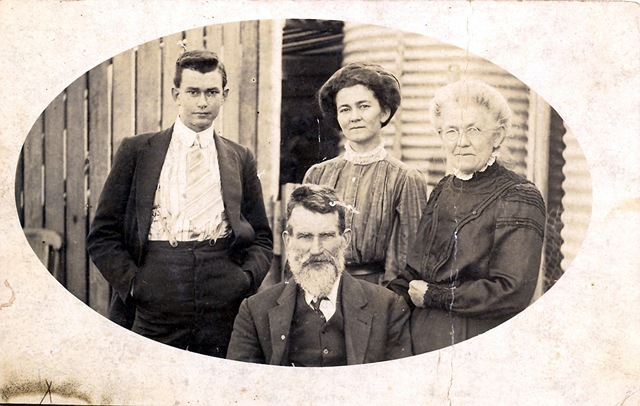 He is with his father Frederick John Sanders , Sister Maude ( who never married) and Grandma Sanders ( Lucy Jane Hurrell). John George Sanders with an English relative during WWI. John George was gassed in WWI and left without a sense of smell . Nevertheless he endeavoured to enlist for WWII but was refused . Both his sons – Bruce and Clyde served overseas. Thomas and Martha had 5 children all born in Kenton Devon. WILLIAM SANDERS on 8-10-1790 married SARAH STARK ( dob 1768 app) In KENTON. 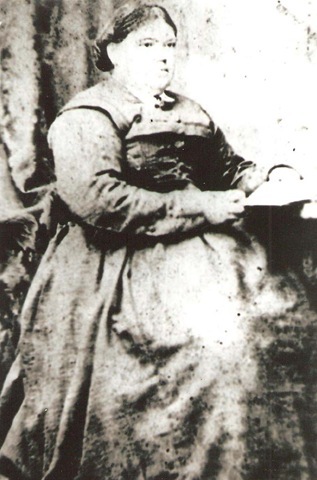 WILLIAM SANDERS then married ELIZABETH GREEN ( dob 1793 app) They were married in DAWLISH, DEVON. Their children were all born in KENTON. WILLIAM AND MARY ANN THEN EMIGRATED TO AUSTRALIA. ARRIVING PER THE SHIP VICTORIA ON THE 4 SEPTEMBER 1849 in Sydney. This is the world they left behind and I have some 19th century newspaper clippings to add later. KENTON. below are some Kenton Links : and perhaps other parts of Devon we are known to have stemmed from.